The San Diego Air and Space Museum announced Tuesday that it acquired a large collection of records from the Vought Aircraft Heritage Foundation, which preserved the history of Vought Aircraft Cos.
SAN DIEGO (CNS) - The San Diego Air and Space Museum announced Tuesday that it acquired a large collection of records from the Vought Aircraft Heritage Foundation, which preserved the history of Vought Aircraft Cos.
Vought is the company responsible for one of the most identifiable U.S. aircraft used in World War II and the Korean War -- the F4U Corsair. The single- engine propeller plane was known for its inverted gull wings. The firm also manufactured the F8U Crusader, the A-7 Corsair II and was a major subcontractor. According to the museum, the collection is the largest component of the surviving archive of the Vought Aircraft companies, assembled over 50 years. It spans the entire evolution of aeronautics, encompassing records well beyond those of Vought Aircraft, according to museum officials. The collection includes a library and photographic collection -- with hundreds of thousands of images -- for virtually every aircraft designed or built around the world, from the earliest aircraft designs to gliders, helicopters, missiles, spacecraft and satellites. It also includes technical reference material. One of the largest known privately held collections of aviation history, it's kept in 500 storage containers on 30 pallets, according to the museum. 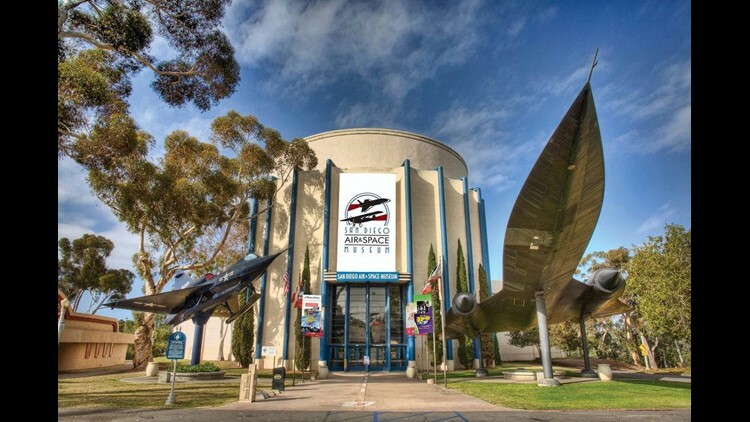 The Balboa Park facility also houses collections from Convair/General Dynamics, Ryan Aeronautical, and Rohr/Goodrich.